A Resident doctor student of Surgery at GMC Surat allegedly committed suicide last week by jumping from ninth floor. He blamed work pressure and torture in his suicide note. Actions and conversations are generated only after some terrifying incident and finish with making few scapegoats to blame for one, like five seniors doctors in this case. But the whole system continues to function in same inhuman way. This rotten system ignores the deleterious culture of medicine and dangerous working conditions to which junior doctors are subjected. Medical students enter medicine as inspired, intelligent, compassionate humanitarians. Soon they turn into cynical and exhausted humans. How did all these totally amazing and high-functioning people get so disillusioned so fast? Problem does pertain to doctors all over the world, as evidenced by suicide by Dr Chloe Abbott in Australia in January. Her sister Micaela said she was Eaten Alive by the medical profession. 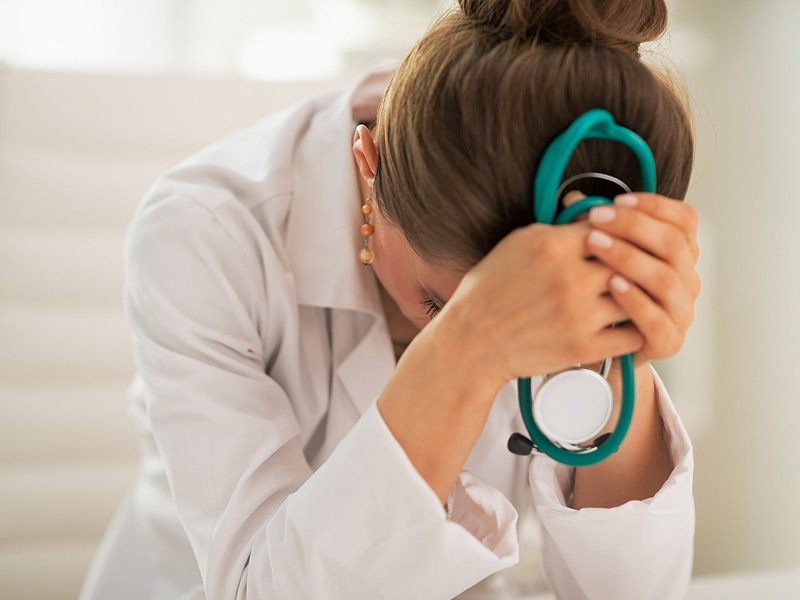 Inhuman duties, neglect, apathy of regulators towards genuine problems, chaotic system of working have left doctors, specially in residencies vulnerable to mental illness. Sometimes even driving them to suicides because of system failures of medical administration and inaction by Government. The terrible conditions have engulfed not only junior phase of doctors, but continue for longer period of their lives, for most of doctors. Because medical professionals find themselves at the wrong end of stick of government, courts, media for brutal expectations. They face public wrath for system failure. There is an urgent need for change in work culture and regulations, to make conditions safe for doctors. Grueling shifts, inhuman working hours have to end now, if society really wants to be treated by good doctors. Untenable working conditions, long inhuman hours, unrealistic expectations of patients and thereby creating pressure situations, fear of complaints, physical assaults and medical lawsuits have killed profession largely. Bullying and harassment from all possible quarters is unavoidable consequence. My earlier article “ enslavement of medical profession” highlights the plight of doctors. Almost every doctor will have horror stories to tell, about working conditions. For which medical regulators should be ashamed, there is nothing to be proud of. System needs a overhaul. Who will do it?